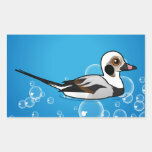 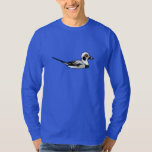 The Long-tailed Duck is a medium-sized sea duck found in waters of the Northern Hemisphere. 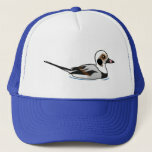 They breed in waters around the North Atlantic region, including mountain lakes, tundra pools, and sea coasts. 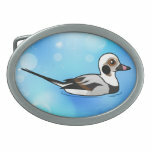 In the winter they migrate along continental coastlines to warmer waters in the south. 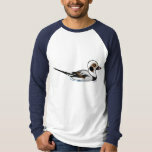 Male Long-tailed Ducks in alternate plumage are distinctive and can be recognized by their namesake long tail feathers, grey bill with pink band, dark cheek patch and bold white and dark contrasting body plumage. 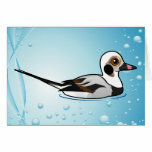 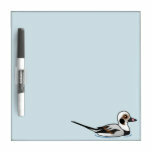 Long-tailed Ducks feed by diving, hunting for food items including mollusks and small fish. 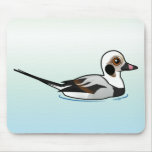 They use their wings to propel themselves under water.